Hello! It's Nicole from Teaching With Style! 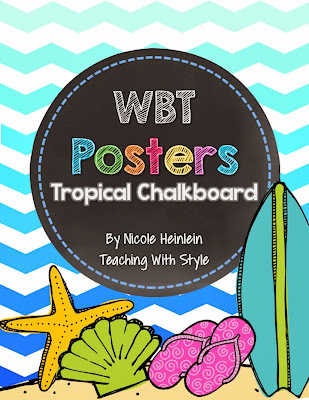 Have you been implementing WBT in your classroom this year? I started last year and joined the book club over the summer. Since then, I've been making tons of freebies over at my Teaching With Whole Brain Teaching blog! You will find the tropical posters that I made to help introduce all of the rules and other strategies. I hope you are able to use them in your room, too!